You’ve probably heard the real estate mantra: “Location, location, location.” It’s the key deciding factor in your new home search – and for good reason. If you have children, this is probably at the top of your consideration list. 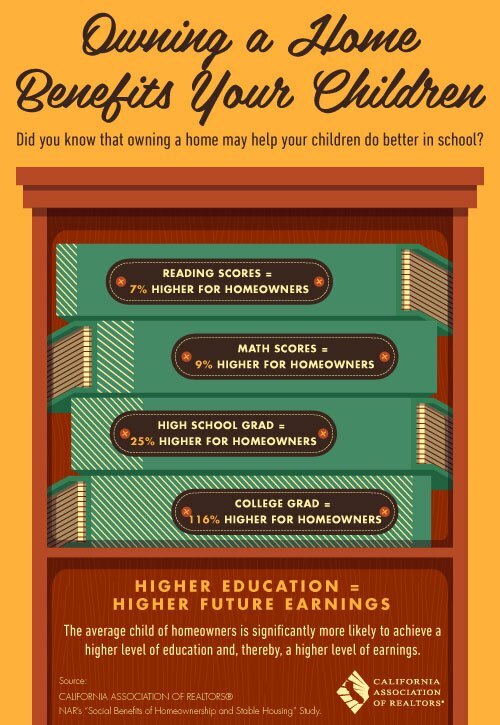 Make sure you thoroughly research schools that serve the neighborhoods you’re most interested in to ensure you get the exact quality of education you want for your kids. GreatSchools.org is a fantastic website to help you do your homework; it provides school reviews, test scores, demographic snapshots and much more. 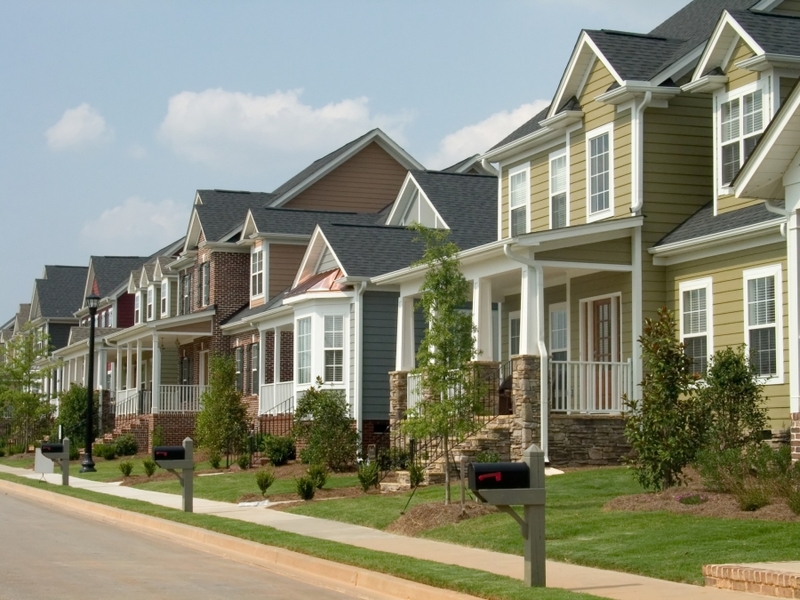 Pick your neighborhood wisely so you don’t wind up spending more time in traffic than actually enjoying your new home. When you embark on your home search, pay attention to how far your desired neighborhoods are from public transit (buses, commuter rails, subways, etc. ), as well as major highways. Decide how much traffic you’re willing to deal with going to and from work every day and whether the tradeoff of living in your dream neighborhood is worth the extra commute time. The overall median home sale price in San Luis Obispo County — including new homes, resale single-family homes and condos — increased to $415,000 in July, marking the 15th consecutive month in which it rose year over year. It increased 13.7 percent from the July 2012 median price of $365,000, though it was still 24.4 percent lower than the peak July median of $548,750 in 2006, according to DataQuick of San Diego. The median is the midpoint where half of the residences sold for more and half for less; figures are compared year over year because of the highly seasonal nature of home sales. The California median price for homes sold in July increased 29.2 percent year over year to $363,000. With 48,118 homes sold statewide, July also marked the highest sales count for any month since August 2006 when 51,054 homes were sold. 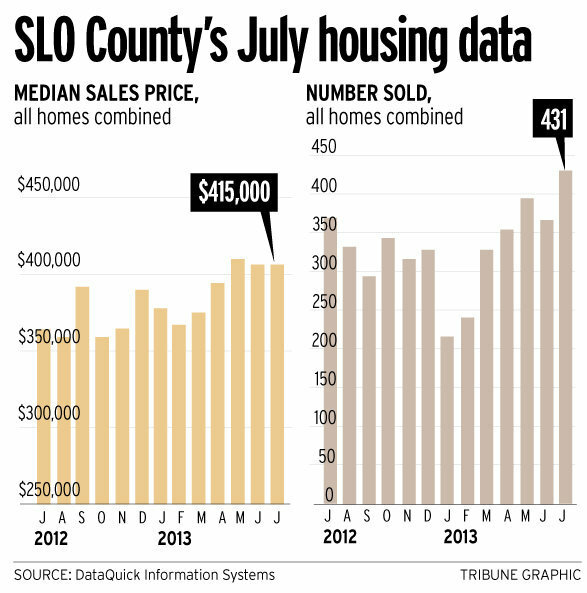 In San Luis Obispo County, 431 homes were sold in July, compared with 369 a year earlier. About 78 percent of the homes sold were resale single-family homes. Those sales grew 13.2 percent year-over-year to 335, and their median price grew 11.4 percent to $445,500. DataQuick also tracks sales of condos and new homes, though data for those categories are subject to large swings because the sales numbers are so small. Condo sales rose 10 percent year-over-year to 55 units in July, though the median price fell 10.1 percent to $271,000. Sales of new homes in July rose 78.3 percent year-over-year, compared with 23 new homes sold in the same month in 2012. The median price of a new home nearly quadrupled from the same month last year: Of 41 new homes sold in July, the median price was $449,500, which is about 274.6 percent more than the July 2012 average of $120,000. The Paso Robles City Council approved a resolution this week to continue a marketing and public relations agreement with the Paso Robles Wine County Alliance. The PRWCA will provide and maintain a public relations campaign that positions Paso Robles as a year-round tourism destination. This strategy generates awareness and further strengthens the name recognition of the Paso Robles brand, leading to increased tourist visitation and rising transient occupancy tax. Following are the three key service areas that have been outlined in the existing contract and will continue in FY 2013/14 upon contract renewal. Provide strategic public relations counsel to coordinate efforts between local and county tourism entities, including Paso Robles PCC, TPRA, SLOCBID and Visit SLO to maximize public relations for Paso Robles. Work with local organizing committees to secure new and support existing tourism events benefitting Paso Robles, such as Forks & Corks, Sunset Savor Central Coast, etc. Promote them utilizing all our marketing tools while demonstrating benefits to key tourism partners. Thus far in 2013 the Alliance has hosted 13 members of the media to great results in publications include Huffington Post, Fodors and others. New Uptown Center planned for north Spring St.
A new project was approved by the city hall for the former Paso Robles Ford location at 34th and Spring Streets. The "Uptown Center" project proposes to construct 23,500 square feet of commerical buildings fronting on Spring Street. The first floor would include a 10,000 square foot grocery store occupied by local favorite La Reyna Market, and 3,200 square feet of additional commercial lease space. The second floor would provide for 10,300 square feet of lease space for office use. In addition to the commercial project, 28 detached single family homes along with 14 attached ownership residential units would be constructed on the eastern portion of the site, with homes oriented to 34th Street and Park Street. The homes would have three bedrooms ranging in size from 1,465 to 1,605 square feet. Each unit would have the ability to have separate ownership including a one-car garage. San Luis Obispo County’s housing market is on the rebound. The median price — the point at which half of residences sell for more and half for less — continues to rise, sales have picked up and foreclosures have fallen. A strengthening economy has played a key role in the housing market’s comeback, and real estate will be a significant contributor toward economic growth this year, economists say. The all-home median price for the county, which includes new and resale single-family detached homes and condos, was $421,500 in May, 12.4 percent higher than the same month in 2012, according to DataQuick, a Southern California-based real estate tracking firm. May marked the 13th consecutive month in which the county’s median home sales price saw a year-over-year increase. However, the May median sale price was still 23.4 percent lower than the peak May median of $550,000 in 2006. A total of 394 homes were sold in May 2013, up from 361 sold in May 2012, a 9 percent year-over-year increase. Most of the homes sold in the county are existing, single-family homes. The median price for resale homes was $435,500 in May, a 13.1 percent year-over-year increase. Sales for existing, single-family homes grew to 325, a nearly 5 percent year-over-year increase. June median price and sales figures are not yet available. Home prices will continue to be strong, growing by double-digit percentages this year, before tapering off to more historical norms of 5 or 6 percent in later years, Levine said. “Now is still a good time to get into the housing market,” he added, noting that mortgage interest rates have started to move up slightly. “They (interest rates) are still low by historical standards, and I think it makes sense now to buy, from an investment standpoint.” Investors are snapping up property as many would-be buyers — those who may have had a bankruptcy or foreclosure on their record — are unable to purchase a home and must choose rentals, Levine said. What do most homeowners like to do in their yards? 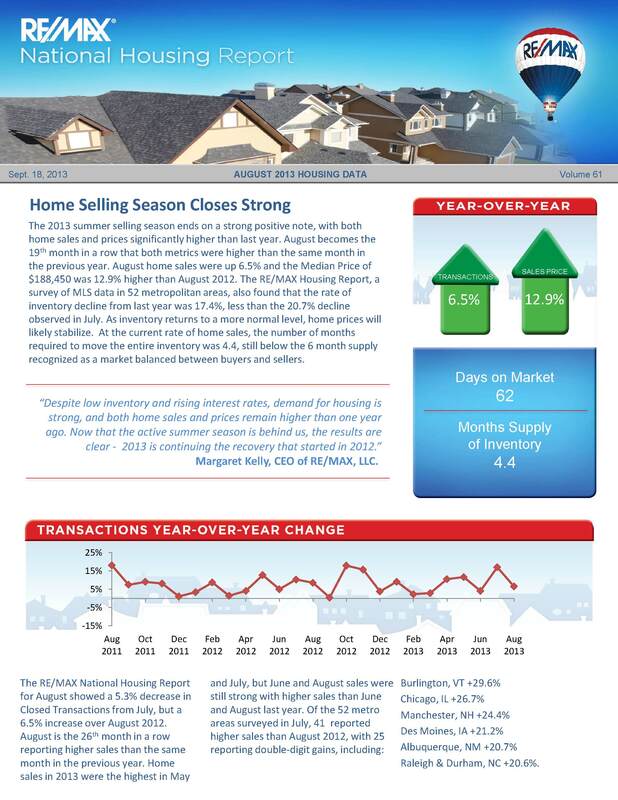 North County Real Estate maintained momentum throughout the first half of 2013. Our County appears to be strengthening in both employment and overall economic activity. Tourism and agriculture have helped our North County businesses and real estate. Even our local municipalities are breathing easier from a financial standpoint. 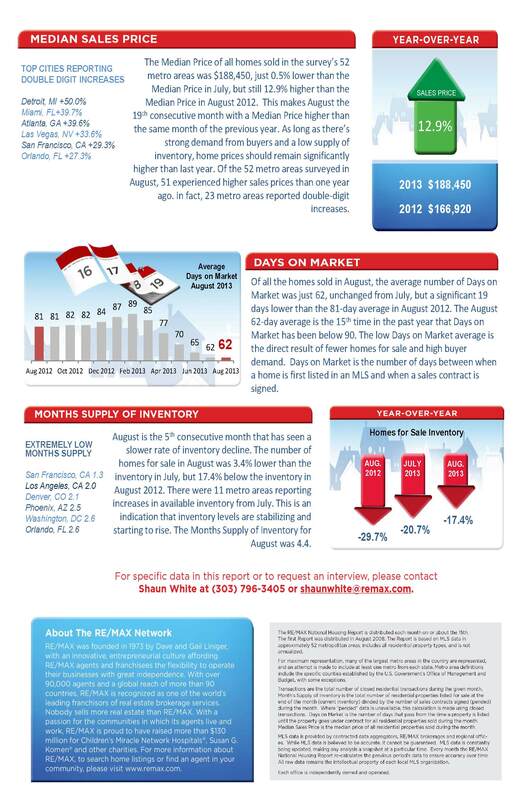 This report outlines real estate activity for the first half of 2013. Residential single family unit sales totaled 630 sales for the first half of 2013 which was similar to the first half of 2012 unit sales. The average sales price jumped up 22% to $325,000. Pending sales, homes currently in escrow, ended the quarter at 250 units which is an increase of 41% over 2012. Available properties for sale dropped 23% to just under 400 units, which equates to a 4 month supply at best. For sure, more homes would have sold if more homes were available for sale. Higher prices tend to bring out more inventory but we are still going to be faced with more Buyers than Sellers in the short term. In the million dollar property category we have seen a steady increase in sales and pending sales. Prices are stable but prices still lag behind replacement value. Appraisers are all over the map and lenders are extremely conservative in this price range. The biggest change has been in the supply category. We went from 68 million dollar units for sale in 2012 to 85 million dollar units for sale in 2013. Again the million dollar range is vast in price points but we are still way long in supply. Prime Westside estates are receiving the most Buyer interest. Our feeder markets of Los Angeles and the Bay Area have had steady million dollar activity and this activity should continue to trickle into North County. Strong grape pricing may also bolster this market. Land pricing and lots for residential single family are strong. Low finished home inventory is driving more builders into the spec home market. Many local people have also taken advantages of lots for sale to build their dream home. There appears to be no real immediate increase in finished lot inventory so Buyers are aggressive if the price is right. It’s a cash money proposition in raw land for Buyers and Sellers. We have some very strong large wineries in the North County and a handful of high quality smaller operations that all have international recognition. It’s really remarkable to imagine we live in a community that has a recognized quality profile throughout the world wine industry. Real money is being invested in vineyards, wineries, restaurants and hotels. Agricultural lenders are also very strong and supportive in our community. This wine industry and vineyard industry is healthy and growing. A quick word about interest rates: Everyone is concerned about any uptick in rates. Then again many people are concerned about the potential/coming problems of the monetary stimulus. Often when interest rates tick up, people pick up the pace in buying homes because of the fear of further upticks. We are not so sure Buyers will jump in so boldly with rate upticks: when a third of the Buyers are all cash, one wonders about the interest rate jump impact. This is not a normal real estate recovery. Commercial real estate reflects our local economy. More activity in this market from investors and tenants. There is still a lot of vacant space and small businesses are feeling the effects of the tax increases, health care costs and a “no growth” recovery. Investor interest in apartments is strong and will remain strong throughout this year. Residential rents are strong and commercial rents are tepid unless the space is A plus. We are not in a healthy economy; we are in an unusual economy. Ditto for our real estate markets. Real and perceived headwinds are in the minds of all worker bees in our state. There is that uneasy feeling that this no growth, entitlement heavy society is unsustainable. The future may be uncertain but we believe North County will perform well in the coming years because of the quality of our lifestyle, location and the wine industry.